SIMON RODILLA was put on the cover of Sgt. Pepper’s because of the word LABOR!!! He dedicated his own life to his work and built something that impressed beyond his death and it impressed Jann Haworth and that is why she chose to put him on the cover. 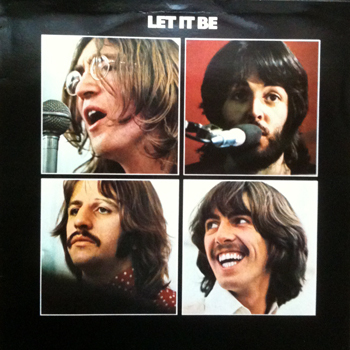 Read more about SIMON RODILLA and the issue of the Beatles and their work in this post below. Larry King interview with Paul McCartney, Ringo Starr, Yoko Ono, Olivia Harrison and Guy Laliberté on the occasion of the 1st anniversary of Cirque du Soleil Love show. 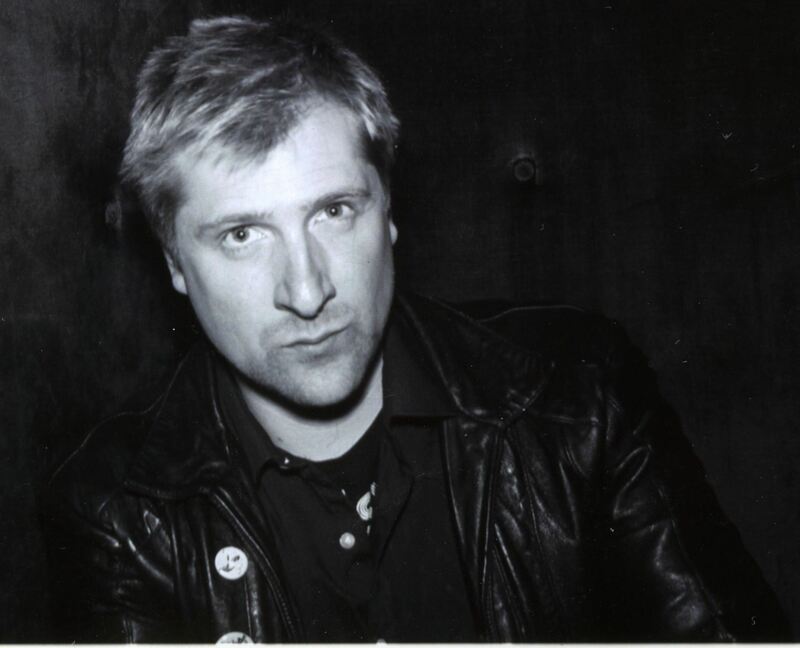 Today we will look at the path of throwing your life into your work or labor, and also we will look at the life of SIMON RODILLA (Justin Maurer’s article, “Sam Rodia’s Watts Towers,”) who is featured on the cover of Sergeant Pepper’s Lonely Hearts Club Band Album. 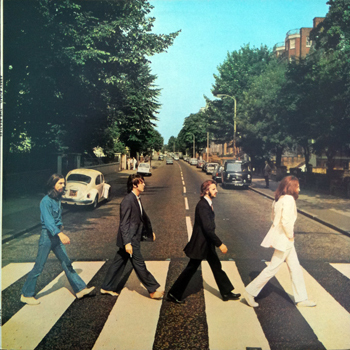 Later in this post we will look at how hard the Beatles labored and how they were able to produce 12 albums (actually 13 in the USA) in only 8 years (#ASKNAT – CONCERNING WHY THE BEATLES RELEASED SO MANY ALBUMS). But first let’s take a look back in history at the most successful king in Israel’s history and see what he had to say the satisfaction or lack of satisfaction that his labor brought him. 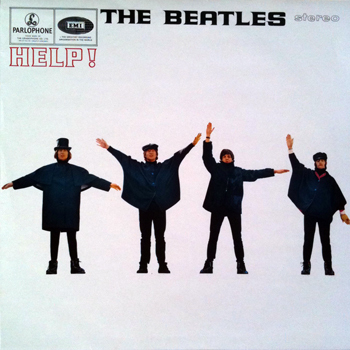 Two years later, a photo of Rodia was included on the iconic album cover of the Beatles, Sgt. 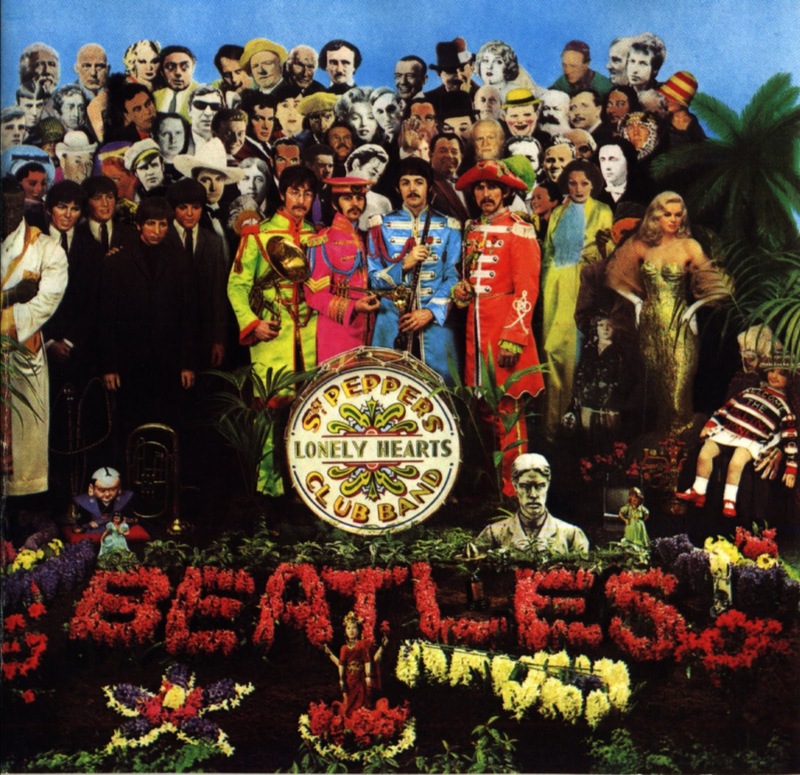 Pepper’s Lonely Hearts Club Band released in ’67 (Rodia is on the top row, far right, to the immediate left of Bob Dylan). The Beatles were also caught in this predicament because they were looking for lasting meaning in their lives and they were doing it in the same 6 areas that King Solomon did in what I call the 6 big L words. He looked into learning (1:16-18), laughter, ladies, luxuries, and liquor (2:1-3, 8, 10, 11), and labor (2:4-6, 18-20). 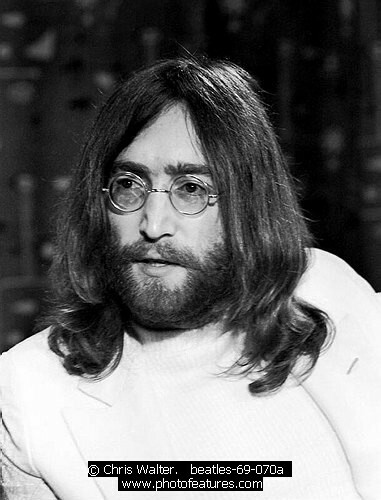 John Lennon also was personally going through about half the list of L words in 1968 when he wrote the song “I’m so Tired.” He was staying with the Maharishi and was not allowed liquor, and luxuries and his mistress Yoko Ono was not invited to travel with him to India. The Beatles were extremely hard workers and their output during the eight years they were together was large by today’s standards but not necessarily by those days standards. Below is a portion of an article that looks into the question of why the Beatles produced so many albums in a 8 year period. While I’m grateful for The Beatles releasing so many albums, I’ve always wondered why they (and other bands) recorded so frequently. Was it in their contracts with record companies, the artistic flow of the group, or some other factors? I often question whether or not the Beatles were burned out from recording together. Maybe they could have taken vacations away from each other? I’m sorry for my ignorance, but I grew up at a time when bands would release one album per year, or even several years apart. What has changed? While The Beatles output of twelve albums in eight years is commendable, the number of albums per year is not so out of the ordinary. They worked hard and were very productive people that had a passion for their art. But they took vacations away from each other as well, not very long ones in the early days but one that was approximately three months towards the end of 1966. Excluding live albums and compilations and considering a similar period, both The Rolling Stones and The Kinks put out 9 albums between 1964 and 1971. Keeping in mind that they did this without ceasing to tour as The Beatles did after 1966, it seems fairly comparable. 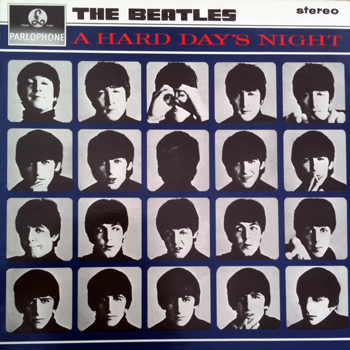 Since The Beatles remain in such high demand, there have been lots of compilations of their music on the market over the years. 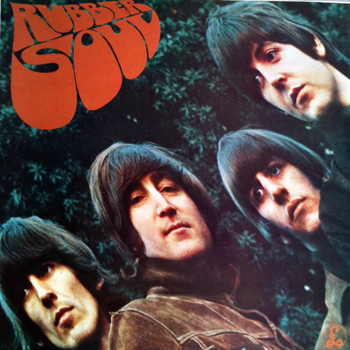 One category for these are hits collections such as The Beatles 1962-1966 (1973), The Beatles 1967-1970 (1973), Rock ‘N’ Roll Music(1976), Love Songs(1977), Twenty Greatest Hits (1982), Reel Music(1982) and One (2000). Another category for compilations would include collections of out-takes and extras such as the Anthologies. A third category for these would be for live shows such as The Beatles At The Hollywood Bowl album (1977) or the release of the Ed Sullivan Shows that starred the Beatles on DVD/BluRay. 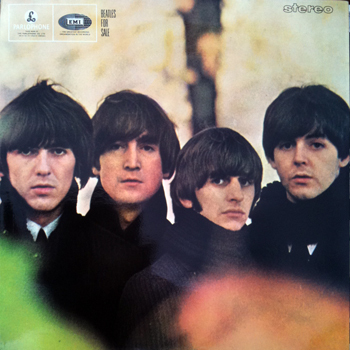 While The Beatles had 12 “sixties” EMI albums in the UK, the US had plenty more since the practice in America was for shorter albums and also including tracks from singles as album tracks. This resulted in roughly 3 albums in the U.S. for every two in the UK. Since many of the US tracks have different mixes and edits, it expands the catalog even more for completists. 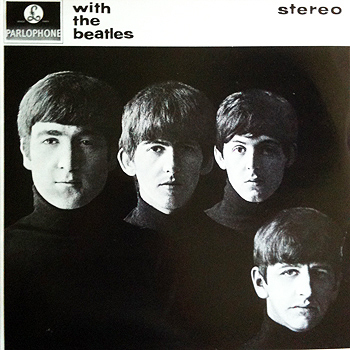 A 13-disc box set called The U.S. Albums was recently released that contained only the Beatles albums that had track listings unique to the US. 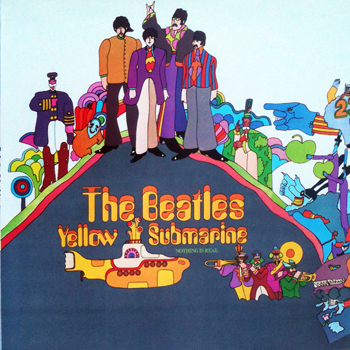 Again because The Beatles have been in such high demand over the years, several special releases that contain alternate mixes of already released music have been issued, to include Rarities, theYellow Submarine Songtrack, the Love soundtrack and Let It Be…Naked. 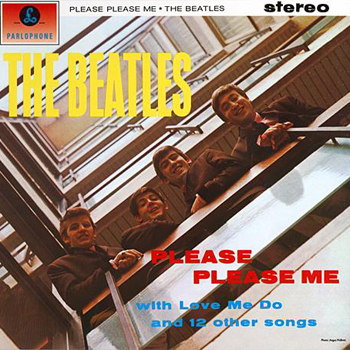 My whole point in bringing this up is to show that while The Beatles worked hard and put out a lot of material in a short time, it seems like even more than it is because we are getting so much that came from the sessions and was initially never even intended to be shared with the public. Yet now, because of the public demand, historical interest and their status as arguably the most groundbreaking musicians of their time and genre, we are getting much more diggings from deeper in the vault. Add to this the hits collections and periodic remastered sets and you see how much of a commodity The Beatles legacy has become. Here is a portion of a blog post by Phillippe Viguier concerning what Solomon said about our labor. To his credit, Freud was very true to his worldview. If you believe in evolution and humans being the random result of natural causes, you shouldn’t ask yourself if life has a meaning, because there wouldn’t be such a thing as a meaning for life. In fact, the reality that you would even consider asking yourself the question would just be the evidence that you are mentally sick, unbalanced and in internal conflict. Because without God, a meaning for the life is just an absurd thought. Can there be any meaning in this life apart from God? Is there anything to gain from our toil under the sun? Think about it a second…ask yourself…is there anything lasting and meaningful to gain from all your daily toil under the sun? For working a job? For studying in school? For keeping a house together? For changing diapers? Well, I’m glad you asked, because I just happen to have come across a book written by the the wisest man who ever lived on earth and who and saturated his mind with a quest to understand this question. This question, Solomon would ask it six times, once in every first six chapters of the book of Ecclesiastes, where I invite you to turn in your Bibles. And we will look at the first chapter, from verses 1-11. Ecc 1:1 The words of the Preacher, the son of David, king in Jerusalem. Vanity of vanities, says the Preacher, vanity of vanities! All is vanity. What does man gain by all the toil at which he toils under the sun? A generation goes, and a generation comes, but the earth remains forever. The sun rises, and the sun goes down, and hastens to the place where it rises. The wind blows to the south and goes around to the north; around and around goes the wind, and on its circuits the wind returns. All streams run to the sea, but the sea is not full; to the place where the streams flow, there they flow again. All things are full of weariness; a man cannot utter it; the eye is not satisfied with seeing, nor the ear filled with hearing. What has been is what will be, and what has been done is what will be done, and there is nothing new under the sun. Is there a thing of which it is said, “See, this is new”? It has been already in the ages before us. There is no remembrance of former things, nor will there be any remembrance of later things yet to be among those who come after. “Vanity of vanities” said the preacher…we’ve heard this phrase many times. But why do you think Solomon said it…to make you feel bad about your day? To help you betterunderstand despair? To make you spend money on a psychologist? To make you empathize with him because he was a loser? No, the reason why he states this so bluntly is to provoke you to think about the matter. Because the only way you will ever do anything with his message is if it creates convictions in your heart about what you really believe. Because everyone needs to know what they live for, and how this should flesh out on a daily basis. When I first began to study the book of Ecclesiastes as a teenager, it changed my life. And even to this day, I can say without a doubt that the book of Ecclesiastes has been the book giving me the most hope concerning the meaning of my life on earth…But the main question remains: Is there any gain in our toil? And the answer is: yes, there is gain, there is infinite gain. And today we are going to look at 4 realities concerning our toil that should make us toil even harder. 4 realities concerning our toil that should make us toil even harder. The first aspect of our toil that we see here is that earthly toil defines our lives. Ecc 1:1 The words of the Preacher, the son of David, king in Jerusalem. Vanity of vanities, says the Preacher, vanity of vanities! All is vanity. What does man gain by all the toil at which he toils under the sun? The reason why Solomon asks this question about the meaning of our toil is because it is the reality of our lives. All that we do is toil. There is nothing on earth that is done that doesn’t require effort. As a result, the sum of our lives is really the sum of our efforts. And without God it is all vanity. The term “vanity” is actually a pretty good term to define our lives. It comes from a Hebrew term that comes from a root meaning “vapor” or “breath.” And just like breath, most of what you do will pass without being seen. Like a breath, your life will pass without leaving anything of itself behind. It will pass and be gone forever from under the sun. Like a breath, your life is one among billions and is insignificant in comparison to the scope of this world. A breath is meaningless. It cannot be grasped, cannot be seen, cannot be measured, it doesn’t last, it comes from nowhere and goes nowhere, and it is not worthy to be remembered. And yet, that’s all that we got. Without God, there is absolutely nothing that we can contribute to this world. In and of ourselves, we are absolute nothingness. That is our identity, and the reality of everything that we do. We are but empty vessels. I mean, doesn’t just asking the question make you tired? “What does man gain by all thetoil at which he toils under the sun?” Doesn’t that just want to make you exhale “pfffiu!” Isn’t it tiring just to think about all the things that you need to get done? But Solomon gets the guts to ask: If we are nothing, and everything that is done is nothing, then why do we keep on doing it? So first earthly toil is what defines us, secondly, earthly toil is powerless. Ecc 1:4 A generation goes, and a generation comes, but the earth remains forever. The sun rises, and the sun goes down, and hastens to the place where it rises. The wind blows to the south and goes around to the north; around and around goes the wind, and on its circuits the wind returns. All streams run to the sea, but the sea is not full; to the place where the streams flow, there they flow again. Here we see four different images from nature that show to us how powerless we are as humans to change anything in the world in which we live. There is the earth that remains forever, there is the sun that remains forever, there is the wind that reminds forever and there are is the sea that reminds forever. Simply put, we live in a world in which we cannot change the rules of the game. We are creatures of limited power in a world of excessive power. And even though we crave for power, no matter how much little power we can attain in our limited state, we will never be able to change anything with the forces that set this world in motion. The laws of nature cannot be altered, slowed down, broken or changed. And if our existence was to find meaning in us making a difference in this world, we would be doomed to total despair. The earth, the sun, the wind, the sea…all trump us. So first, we saw that earthly toil is what defines us. Secondly, that earthly toil is powerless. Thirdly, we see that earthly toil is wearisome. Ecc 1:8 All things are full of weariness; a man cannot utter it; the eye is not satisfied with seeing, nor the ear filled with hearing. Earthly toil is wearisome. It is tiresome. It makes you sweat, it makes you hungry, and itempties you of your strength. Life is a constant investment of self. There is nothing that you do that does not require a part of you: whether it is your time, your energy, or your resources. Man is constantly losing his most precious possession which he calls life, to never get any of it back. All things are full of weariness, so much that we cannot describe it. Because everything requires effort, to describe effort makes effort, and so the weariness will always outbalance its explanation. Labor is a competitor that can never be out-bidded. It will always trump you in everything you do. No human being able to talk will ever be able to describe all the efforts that they had to do to live on earth. But is even more deplorable about this is that even though everything takes effort, there is no reward for it. The eye is not satisfied with seeing, nor the ear filled with hearing. It is as if the human’s soul is bound to a formula in which all satisfaction is measured by the amount of toil multiplied by zero. How can you win when you multiply by zero? You can only lose. Do you guys realize how wealthy Solomon was? The weight of gold that he made every year just from the profit in Israel was 666 talents of gold (1 Kings 10:14), which is the equivalent of 25 tons of gold every year. You are talking about a massive cube of over 6 feet on each side, which in our day, since one ounce of gold is worth between $1700-1800 and there are over 35,000 ounces in a ton, would be about $1.5 billion. $1.5 billion every year…and he was king for 40 years. That’s 60 billion dollars too spend. Ecc 5:10 He who loves money will not be satisfied with money, nor he who loves wealth with his income; this also is vanity. Ecc 2:10 And whatever my eyes desired I did not keep from them. I kept my heart from no pleasure, for my heart found pleasure in all my toil, and this was my reward for all my toil. Then I considered all that my hands had done and the toil I had expended in doing it, and behold, all was vanity and a striving after wind, and there was nothing to be gained under the sun. Ecc 6:7 All the toil of man is for his mouth, yet his appetite is not satisfied. And it is sad, but a lot of people start life thinking that they are the new Christopher Columbus on board of his brand new vessel, ready to explore seas of pleasure, only to eventually become stranded with no land in the horizon, no direction, and no hope. And the list continues…Solomon tried to find satisfaction through human wisdom, through human success, through romance, through power, through fame, through the search of human perfection…all failed. And it didn’t matter how many excesses he had…it was always multipled by zero. I mean we know it…one episode does not satisfy. That’s why we watch the next one, and the next one, only to finish a series and to start another, always on our hunger. Same with video games. One level is passed, then the next, then the next one, then what? The eyes are never satisfied. All that the world gives us is salt water. It is made of the same stuff that satisfy, but it just never gets there. It only makes it worse. But again, that’s just how man is made. We are made to toil, we are made to be limited in power, and we are also made to have holes in our heart that longs for something bigger than ourselves, for something infinite and eternal. First earthly toil is what defines us, secondly it is powerless, thirdly wearisome, and fourthly it is meaningless. Earthly toil is meaningless. Ecc 1:9 What has been is what will be, and what has been done is what will be done, and there is nothing new under the sun. Is there a thing of which it is said, “See, this is new”? It has been already in the ages before us. There is no remembrance of former things, nor will there be any remembrance of later things yet to be among those who come after. Do things really change? There is nothing new under the sun. Mankind is and will always be made of the same mold. And we might like our Steve Jobs and our Einsteins and our pop stars, but eventually it all passes like a breath, and all is forgotten. Now, when Solomon says there is nothing new, we must understand the context. It’s not that man cannot makes inventions, but about the incapacity to change who we are and what makes us happy. The 20th century is a great testimony of that, as it showed that technology does not improve man’s morals or well-being…while some might have enjoyed lives a little more comfortable, tens of millions have perished in world wars and weapons created by our “new” technologies for mass destruction. There is no such a thing as a new source of pleasure, there is no such a thing as a new message of wisdom, there is no such a thing as a deeper and better definition for the meaning of life. 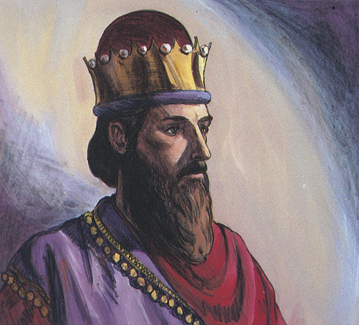 Think about the life of Solomon. In Ecclesiastes 7:15 he writes, “In my vain life I have seen everything.” Now don’t you think that someone who has seen everything could give you a deeper sense of what this world is all about? Ecc 12:13 The end of the matter; all has been heard. Fear God and keep his commandments, for this is the whole duty of man. For God will bring every deed into judgment, with every secret thing, whether good or evil. Is it really different? Here they are with the same message: if you want to be a man, fear God and obey Him, because He is the only who can truly bless you. Now, don’t you think it would be humbling for Solomon to write this as his conclusion? The man was the wisest man who ever lived before Christ. Not only that, but he experienced all the excesses and the depths and heights of human life…and yet he couldn’t even improve or add anything to what had been passed down to him. So here we are in our quest of defining the meaning of life: man is a creature that is made to toil, that is incapable of changing his nature, that is condemned to suffer weariness and pain, and who longs for something bigger than himself of which he will taste out of his own toil. Well, God would not have placed the book of Ecclesiastes in the Bible if that’s all it did. But before we get to the “good” stuff, don’t move away mentally from the feelings that this provoke in you. I mean, when we read and study this stuff, it should create unrest in our souls, because we all know that this world must be full of meaning, that there must be a sense for all of our toil. Ecc_2:24 There is nothing better for a person than that he should eat and drink and find enjoyment in his toil. This also, I saw, is from the hand of God,  I perceived that there is nothing better for them than to be joyful and to do good as long as they live;  also that everyone should eat and drink and take pleasure in all his toil—this is God’s gift to man. Solomon’s conclusion is clear: work your tail off. Give yourself to others…Work hard with your family. Work hard at your job. Work hard at church. Be human as humans should be, tired, weak, needy, but always filled with joy because when you have faith God is with you everywhere you go, to bring eternity in action through the mundane of life. Without God, all the pleasures of life are multiplied by zero. With Him, they are multiplied by infinity. If this isn’t meaningful, I don’t what is. Here is a blog post by Justin Maurer that does a great describing what Simon “Sam” Rodia was attempting to do with his towers. 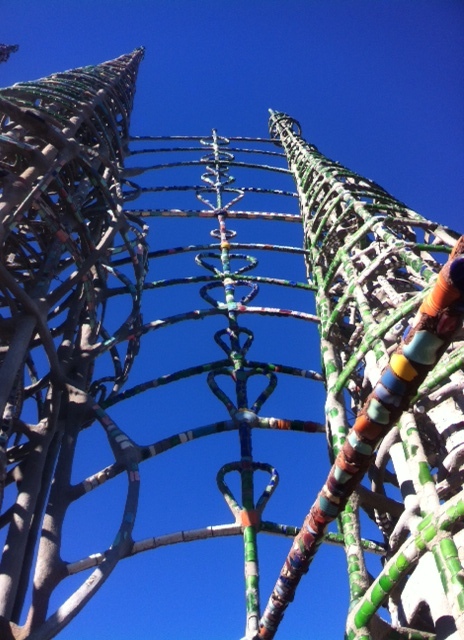 On a sunny Sunday afternoon I convinced my girlfriend to head down to South Central L.A. with me to check out Watts Towers. Growing up in a gang-rife Los Angeles of the 1980s and early 90s where Crips and Bloods reigned supreme, children were taught to be afraid of South L.A. South Central was especially dangerous and anywhere south of the 10 Freeway was to be avoided at all costs. In the films and television of the 80s and 90s, “Don’t go south of the 10 (Freeway),” was a common repeated phrase. Fortunately we disregarded the advice of my childhood and decided to pay a visit to Sabato “Sam” Rodia’s Watt’s Towers, a one-man 30 year creation spanning from 1921 to 1954. Visiting the towers really touched me. I wanted to get a feel for the human heart behind this intense labor of love. Coincidentally the Watts Jazz Festival was in full swing on the Sunday afternoon when we made the trip down to South Central Los Angeles. 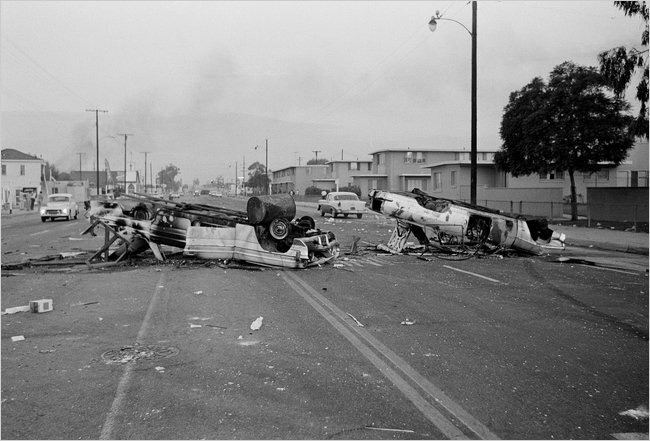 Watts has a history of defiance, notably the Watts Riots of 1965, the L.A. 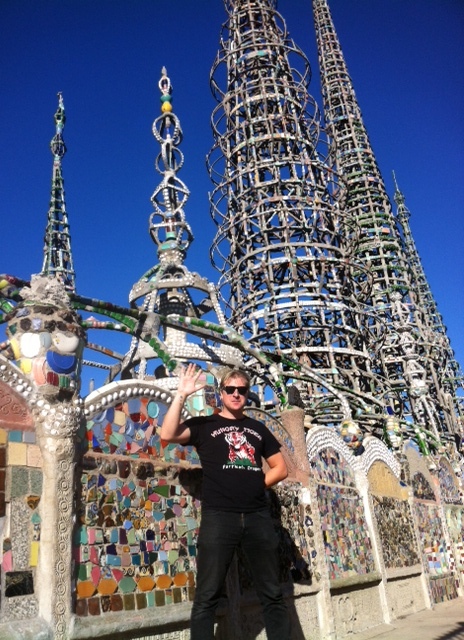 Riots of 1992, and in a historically defiant work of outsider art, Watts Towers. The Towers have stood the test of time, a veritable fist in the sky against naysayers, vandals and multiple city demolition attempts. On the Watts Jazz Festival’s stage a charismatic M.C. declared into the mike, “Don’t let the city officials fool you. We put this together ourselves without their help. We raised the money. We put this together for the people of Watts without help or assistance from the City of Los Angeles.” The attitude of the M.C. seemed directly reflective of Rodia and his Towers. Rodia worked alone and completed his masterpiece without the help or money of outsiders. It was his personal gift to South Central Los Angeles and the world. Although the Towers and the surrounding park are on the map, as far as city officials are concerned, the people of South Central L.A. are a low priority, off the radar of city government. South LA residents’ marginalization in the past led to drug addiction, gang violence, riots and turmoil. The mostly middle-aged black attendees of the Watts Jazz Festival have survived living in a place that at times resembled a war zone. They continue to have a sense of quiet yet defiant pride. The Watts festival attendees seem to prove that holding your head high and holding your culture close is one of the only ways to overcome decades of adversity. What better way to show this sentiment then throwing a free Jazz Festival in the park, run by the people for the people. This idea seemed to go back to the Wattstax Festival of 1972 where admission was $1. They kept the admission cost low so that everyone who suffered the Watts riots 7 years earlier could afford to partake in the festivities. 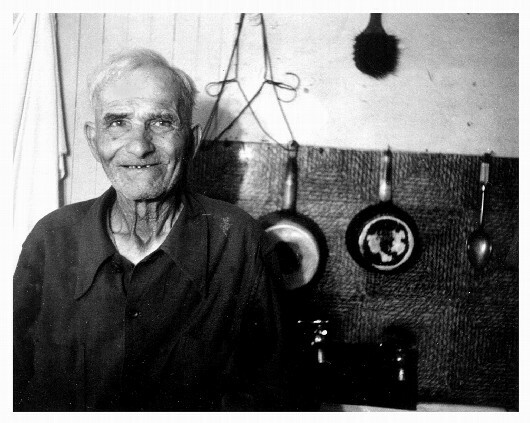 Simon “Sam” Rodia was an Italian immigrant who began his new life in Pennsylvania in 1895. When his brother died in a coal mining accident, he moved west, living in Seattle and Oakland, where he and his wife had 3 children. 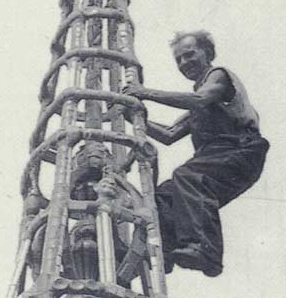 A tiny man, at 4’11”, he worked with his hands as a tiler, logger and construction worker as well as finding work in railroad camps and rock quarries. Many of the skills he learned in his varied manual labor occupations would later facilitate the creation of his masterpiece. When he divorced his wife around 1909, he left his family in Oakland, moving south to Long Beach. After a few years of living and working (including relationships with 2 women), he heard about a reasonably priced small plot of land for sale in Watts. 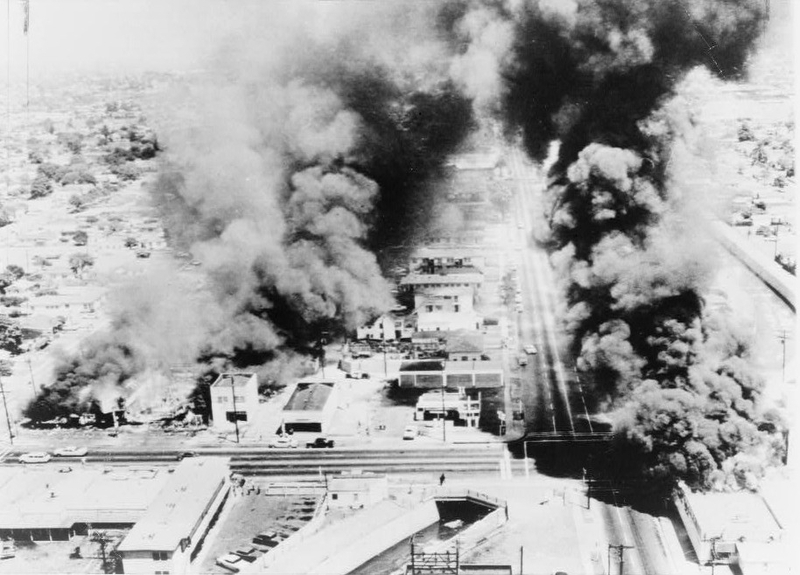 At the time, Watts was not a desirable location to live because of its proximity to both rail road tracks and the light rail tracks for the Red Car, a street car which connected downtown Los Angeles with Long Beach. The street car and the railroad produced quite a bit of noise which made the nearby lot a difficult sell. Rodia’s romantic relations with a woman named Benita dissolved and in 1921 he decided to buy the triangular plot located at 1761-1765 107th Street in South Los Angeles. He built a small house for himself on one side of the lot and feverishly began construction on his vision of 3 towers on the other. In the 20s he lived with a woman named Carmen. After she left him in 1927, he would remain alone for the rest of his life, dedicated to creating something great. Rodia’s heroes were highly regarded Italians like Galileo, Marco Polo, Christopher Columbus and Michelangelo. He admired the Leaning Tower of Pisa and other noteworthy Italian architecture. He was determined to create something that matched the accomplishments of his idols. It was also rumored that he drank heavily after leaving his wife, and he felt the need of a monumental project to avoid a plunge into heavy drinking. Rodia came up with an idea to create a giant sculpture resembling one of Marco Polo’s ships. He built his Towers using a mixture of concrete, steel and wire mesh. He would bend steel using the nearby railroad tracks to anchor a makeshift vise. His basic masonry tools and his bare hands were his instruments to build. 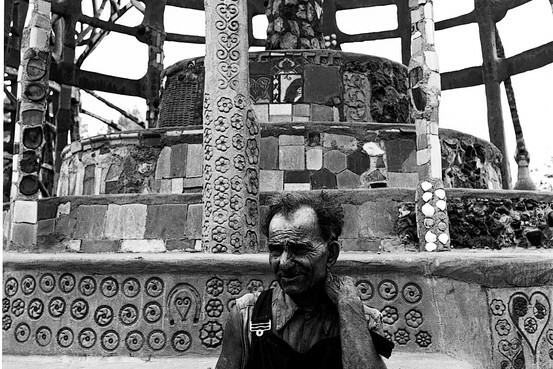 He decorated his towers and the walls surrounding the Towers with his neighbors’ discarded trash: glass bottles, broken kitchen platters, ceramic pottery and seashells from the beach 20 miles away. He constructed a stone oven where he baked bread as well as melted ceramic and glass items for decoration and construction of the Towers. 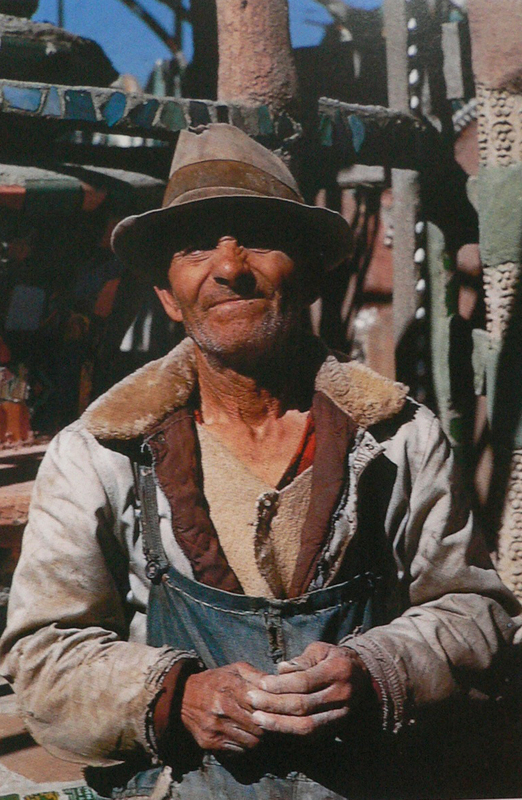 His sense of humor is seen in his offbeat touches including a cement cowboy booted foot and teapot spouts jutting out of walls. Rodia would also pay neighborhood kids in cookies or pennies for pieces of broken pottery and kitchenware. He was known to the children as the “3 Musketeers Man,” because at the time, a full-sized 3 Musketeers chocolate bar cost a nickel. If the kids brought him enough ceramic pieces, he would sometimes reward them with a nickel. 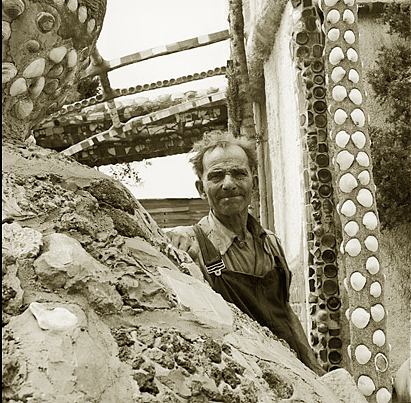 Rodia worked full time in a ceramics factory, the Malibu Tile Company in Santa Monica, and would collect ideal pieces to decorate his massive sculpture. He was fired from Malibu Tile when they discovered he was stealing such a large amount of supplies. 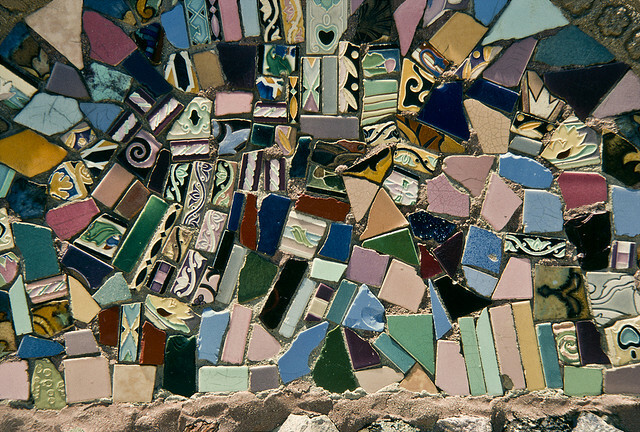 He quickly lined up other work in the area in tiling, as a security guard and as a telephone line repairman. He diligently attended work full time and remained obsessed with his project during every free moment day or night for 30 years. To make his commute to work quicker, he placed a circular police siren on top of his car. After successfully navigating South L.A.’s streets in an imposter squad car, someone reported him. The police came to investigate and he told the officers that he had never owned a car. The rumor was that he buried his car to avoid prosecution. It remained a rumor until it was confirmed in the 1990s, when the shell of a car was found buried behind one of his walls. Despite his popularity with certain neighborhood children, he was often mocked by locals, dismissing his project as crazy or an eyesore. Shrugging off the frequent ridicule, Rodia remained focused. He would frequently walk the entirety of the railroad tracks from Watts to the rail road depot in Wilmington (about 15 miles one way), to collect broken bottles and other useful items on the side of the tracks. He used bottles of popular beverages such as 7-Up for green glass and Milk of Magnesia for blue glass. His name was misspelled in a 1937 LA Times article calling him “Simon Rodilla.” History would correct his last name (Rodia), but unfortunately his incorrect first name (Simon) remained. He went by the nickname “Sam,” although his Italian given name was Sabato. As Rodia’s project reached new monumental heights (his tallest Tower 99 1/2 feet tall) he ordained himself a minister and began orchestrating weddings, baptisms and other religious ceremonies in front of his towers. His ceremony had an unmarried couple entering the compound from one divided door frame and leaving simultaneously through one door. The ceremonies he performed were not recognized by the church or the State of California, but he drummed up a steady flow of marriages and baptisms nonetheless. On Sundays he would give sermons from a podium to any who would listen. Rodia built two fountains that spurted water. As the overflow of liquid seeped into his designs imprinted on the ground, it gave them an otherworldly feel. On the side of the main tower is inscribed “Nuestro Pueblo” – “Our Town” in Spanish. He was fluent in Spanish and his Mexican neighbors thought that he was of Latino origin. He attended Italo-American society meetings in downtown Los Angeles so he managed to retain his Italian identity. It is curious that he named his creation “Nuestro Pueblo,” in Spanish instead of Italian. The Italian would have been “Nostra Città.” Simon Rodia was illiterate, dropping out of school at the age of 12 when he began working, so perhaps he became more accustomed to Spanish after his 50 years in the states or maybe he knew that more locals were familiar with Spanish. Perhaps it was a nod to the region’s Latino history or the El Pueblo de Los Angeles Monument on Olvera Street, the most historic street in downtown Los Angeles. During WWII, in step with Japanese internment and widespread anxiety and paranoia, it was rumored that his creation was a clandestine radio tower used to communicate with the enemy. 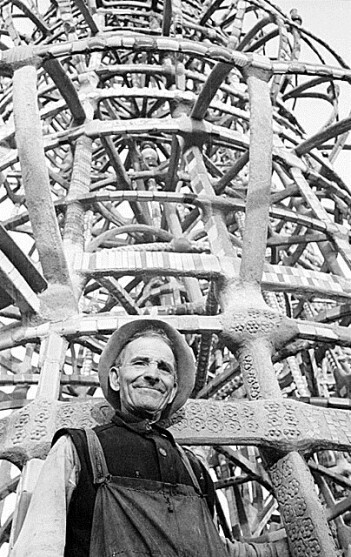 After 31 years of labor, in 1948 his Towers were complete, ornately decorated and solid. Allegedly he frequently bickered with his neighbors, and some of the locals would even vandalize his project. 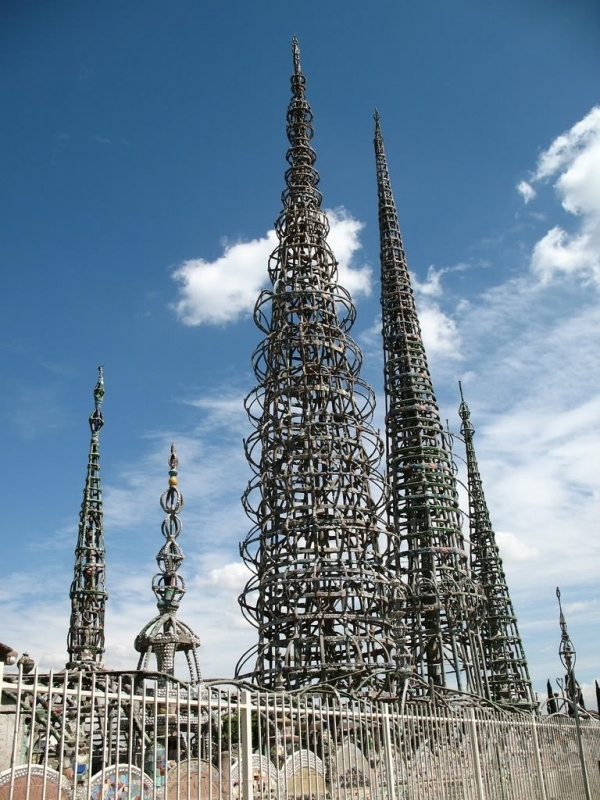 official trailer of the film “I Build the Tower” the Watts Towers by Simon Rodia. This is the trailer or the movie “I Build the Tower” it can be ordered from http://www.ibuildthetower.com/. 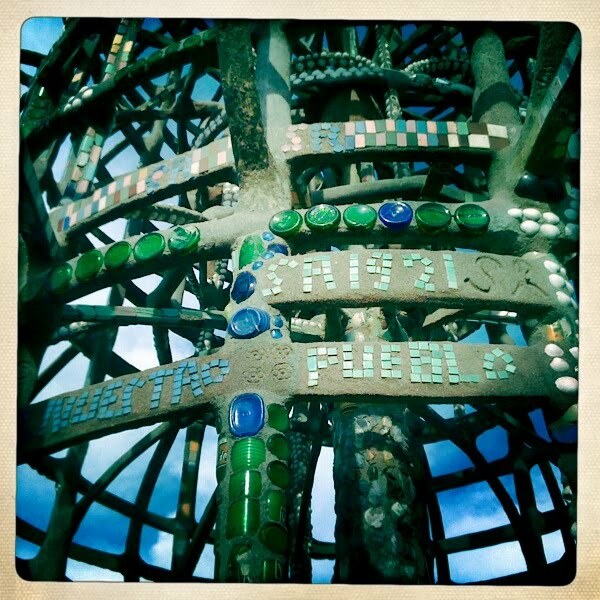 For information about the Watts Towers, opening hours and other information – visit the official Watts Towers Website: http://www.wattstowers.us/. 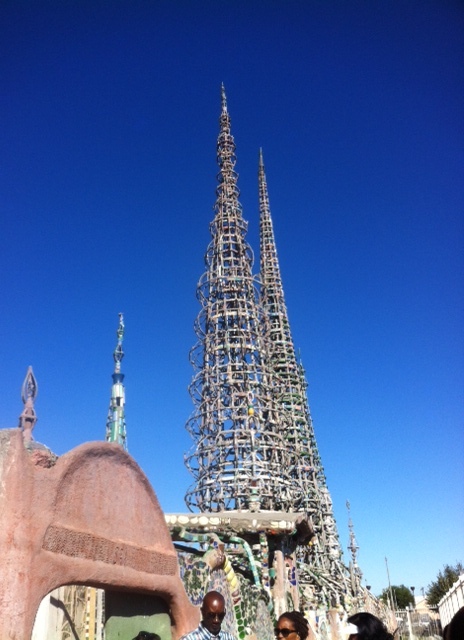 There you can also find information on the history of the towers and their creator, Simon Rodia. 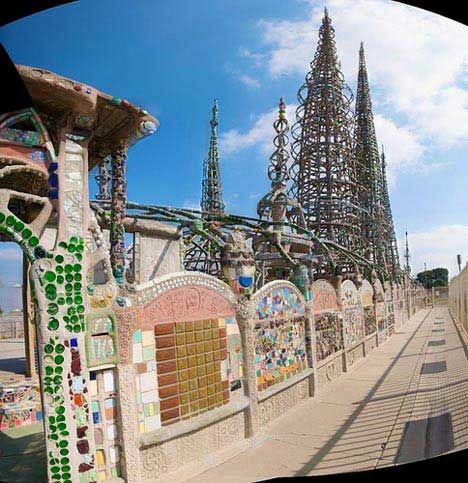 On the site you can also view many collected videos about the Watts Towers. Finishing his masterpiece well into his 70s, he decided to relocate to Martinez, California (near his former home of Oakland) to be closer to his family. In 1954, he gave the plot of land to a neighbor, Luis Sauceda, and left his beloved Towers forever. One year later Sauceda sold the land to Joseph Montoya who wanted to convert the property into a taco stand that prominently featured the Towers, but this project never came to fruition. Sam Rodia happily conducted a few interviews with journalists and filmmakers about his Towers as they began to attract international attention in the 50s. Rodia attended a conference about the towers at UC Berkeley in 1961 and appeared satisfied about finally receiving some recognition although he never visited his Towers again after leaving Watts in 1954. Sabato “Sam” Rodia died July 16, 1965 about one month before the Watts Riots violently erupted. 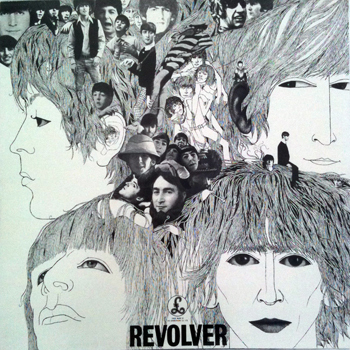 Two years later, a photo of Rodia was included on the iconic album cover of the Beatles, Sgt. 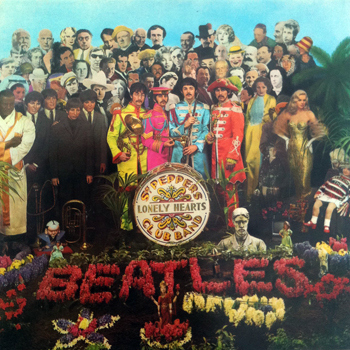 Pepper’s Lonely Hearts Club Band released in ’67 (Rodia is on the top row, far right, to the immediate left of Bob Dylan). Jann Haworth, the co-designer of the album cover was a native Angeleno, she included Simon Rodia as one of her personal contributions to the inspirational or historic figures included in the artwork. Since the towers were proven safe, in 1975 the City of Los Angeles and the State of California took over the maintenance and conservation of the towers and they became a public heritage site. The immediate surrounding area became a park and arts center. – American National Biography, A.N.B. I thought about Simon Rodia and how his tenacity, character and personality reminded me of the way Italian-American writer John Fante, also an L.A. writer, described his own father, Nicola “Nick” Fante in his books. His father was a brick layer, often out of work during long winter months in Colorado. He drank plenty of “Dago Red” wine and was very proud at his intermittent accomplishments, constructing many prominent buildings in the Denver area. Many of Nicola Fante’s schools and churches still stand today in Northern California and Colorado. In Dan Fante’s memoir about his family “Fante,” he recounts a tale of his Grandpa Nick in a bar fight with two Irishmen after they humiliated him. He smashed a bottle over one of the Irishmen’s head and bit the ear off another. He couldn’t handle being slighted or humiliated. 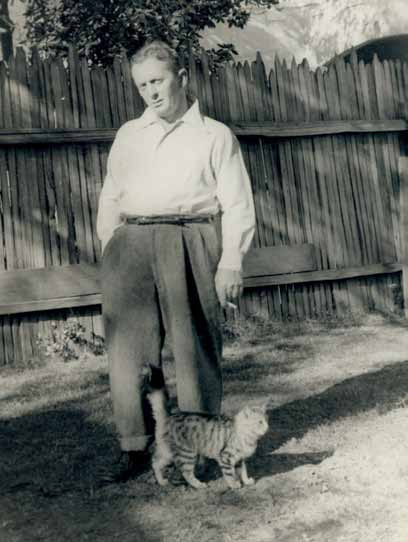 In John Fante’s book, “Full of Life,” he writes about his ferociously stubborn Italian father, who moves in with his son’s family in Los Angeles to help renovate their house when it became infested with termites. The ornery tenacity of Italian-American laborers like Nicola Fante and Sam Rodia has disappeared from today’s milk toast American society. 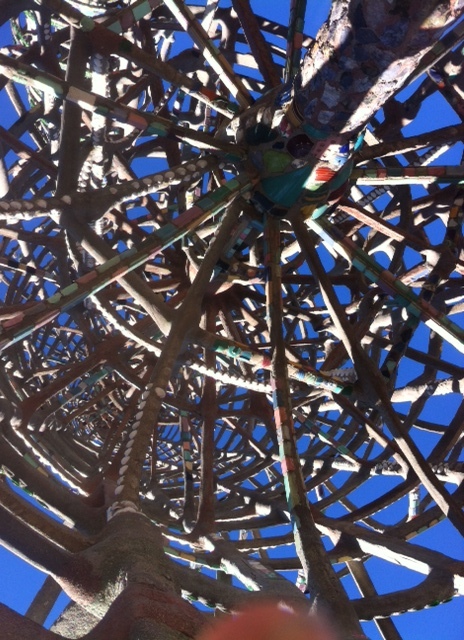 Sam Rodia’s Watts Towers still stand, now respected but only after years of being considered the work of a crazy recluse. Rodia put up with the humiliation of being considered a laughingstock but remained ferociously dedicated to his art. After he was forsaken from his family, Rodia had a singular focus, building something he would be remembered for. 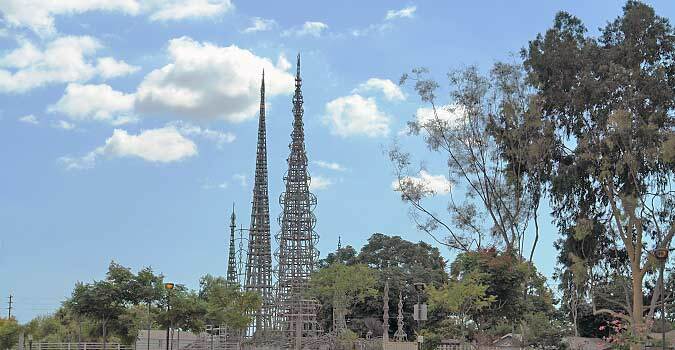 In the still struggling South Los Angeles neighborhood of Watts, his Towers remain a testament. They reveal the resilience of the human condition. 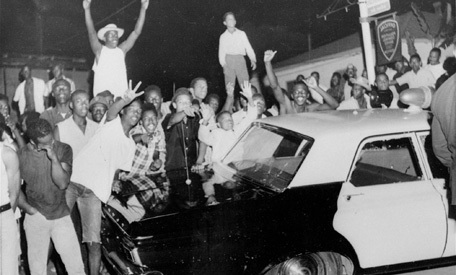 They show that a neighborhood can survive racism, poverty, police brutality and riots. They show that a simple man can create, even a man with a broken heart. Justin Maurer is a writer and musician from Los Angeles. 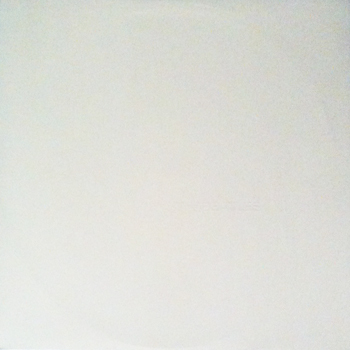 Title: I’m So Tired – Demo recorded May 1968 at ‘Kinfauns’,George Harrison’s estate in Esher.Using George’s Ampex four-track machine,The Beatles recorded demos of virtually all of the songs that they would record for “The Beatles” (aka the ‘White Album’). I was always astonished when studying the assembled collages of the Legendary Godfather Romare Bearden. He expressed and lived with well-forged confidence and a rather personal language of line, form, craftsmanship and color, obviously nurtured and extended over many, many seasons. Steeped in both rural and deeply rooted urban traditions, this sensitive master certainly kept nothing from us. 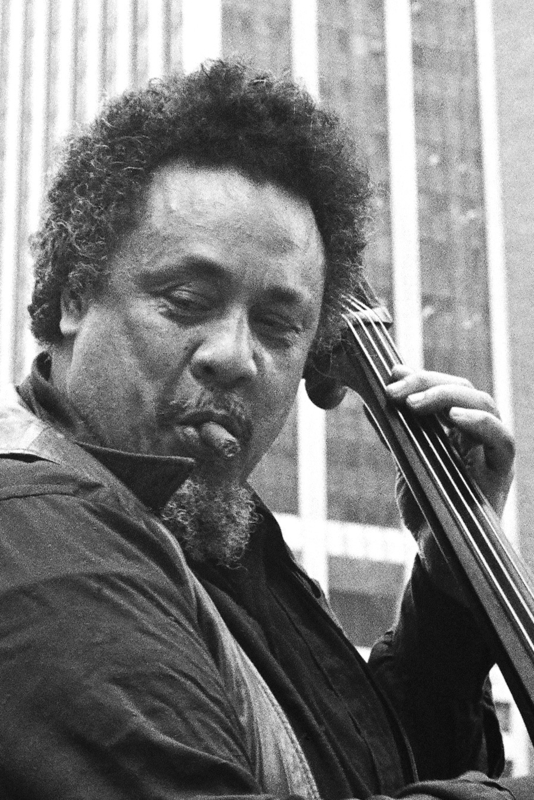 His African-American sagas were freely shared. Bearden at times could be a most serious humorist, with a backlog of skillfully rendered drawings, quick sketch notes of merit—loads of original archival material that most focused collectors would give up land for. Romare created, in the genre of the Harlem Renaissance, tales of folksy customs that stick. There are any number of reasons why the art of Godfather Bearden bestows upon us such a brilliant kaleidoscope of notions and metaphor. The most compelling reason is that he agitated his own sense of poetic narrative and philosophy. By confronting all of us with such pedigree challenges, Bearden shared the most sacred of moments, and facet after facet of magnificent storytellings. Art worlds will forever celebrate the inventive nature of this fine talent—Legendary Godfather Romare Bearden. 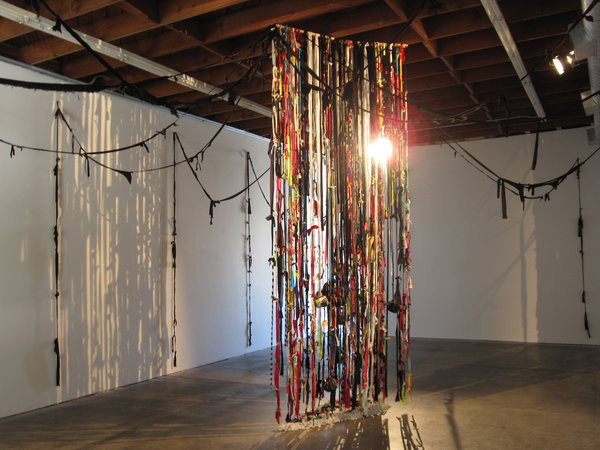 John Outterbridge, The Rag Factory (detail), 2011, mixed media, dimensions variable. Installation view. For “Pacific Standard Time,” the multisite initiative that runs from October 2011 to April 2012 and celebrates art made in Southern California between 1945 and 1980, the artist John Outterbridge has created a site-specific installation at LAXART made almost entirely out of rags collected from the streets of Los Angeles and from a downtown factory. 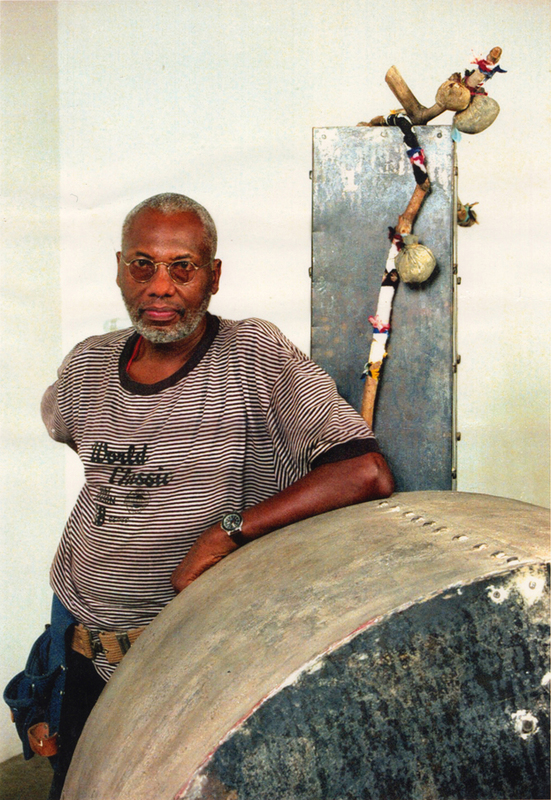 Widely known as a teacher, mentor, and community organizer, and as the director of the Watts Towers Arts Center from 1975 to 1992, Outterbridge has made work for the past forty years that is widely associated with the California Assemblage movement. The show is on view from September 10 to October 22. I SEE A RAG AS AN OBJECT OF MANY VIBRATIONS. You wear clothes, and after you’re tired of them, they’re just rags. But you can’t escape the importance of the rag, no matter where you go or what you do. We use them to wrap around our bodies, but we also hide in them. Because of the colors, because of their previous lives and their histories, rags are pretty much a statement about our social position in the world and the importance of the cast-off. I like using metal a great deal too, or really any material that has a voice. Rag is not as cold as metal, and you can fold it up and put it in your pocket, you can put it in a bundle, you can hang it from the ceiling, you can decorate with it, it becomes a pillow you can lay your head down on. And that’s why I chose not to use anything for this show but piles of rags. I was born in 1933, a long time ago. When I was a kid growing up in North Carolina, I had a mother and a father who had a lot of faith in cast-offs, the beauty and the aesthetics of what is not of use anymore, and that has always excited me because I saw old fences, degraded buildings, and scrub rags not as foreign objects but as being of a piece in the language of life, each with a lot of kinship between them. When you grow up the way I did, the way most African Americans did, separation was the law, and there were certain things––many things––that you just couldn’t do. We don’t talk about race in the way that we should, because it’s not popular anymore. We think that everything has been done before––even though nothing has been done before. You bring that in your studio with you, that anger, whatever knowledge you gain from it. You don’t just do art; art becomes your life. The creative expression, whatever you’re doing—the fact that you have to go on the sidewalk and protest, and sometimes you have to break a glass window—it becomes part of your creative gesture, and it becomes part of your art. There is a little time to separate the act of doing art and act of going into life. And sometimes you’re not capable or able to speak of it, simply because you choke up, when you have to get into the past. I feel good about the use of rag as an expressive element, but I don’t see it as different from other aspects of my life, or the way I think about a general population, a world population. Rags have always been in and around the environments I’ve been a part of. With me, art has the audacity to be anything it needs to be at a given time. Anything. Because the creative process is the beginning of all things, no matter what we’re doing or where we are going. You just can’t get away from rag; even when you throw it away it comes back to you. It’s like water, nourishing to your character, to the character of the cast-off, and to the way we practice living. « Best song on the album PIPES OF PEACE by Paul McCartney is SO BAD!!! !